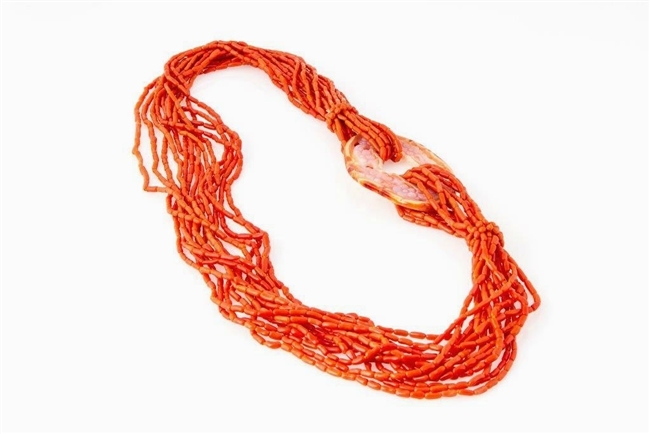 A stunning, multi-strand, Sciacca Coral Necklace by Rajola. 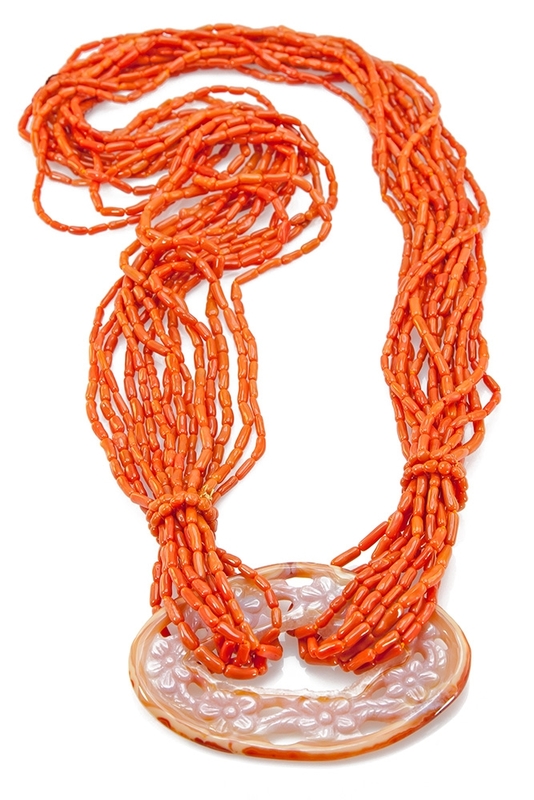 This wonderful Coral Nugget Bead Necklace has been given that designer touch with a large, hand carved, Carnelian Medallion that holds the strands. No Latch. Sciacca Coral is petrified Coral, dating 2,000 to 5,000 years old. This piece comes with a book telling the history & story of Sciacca Coral.